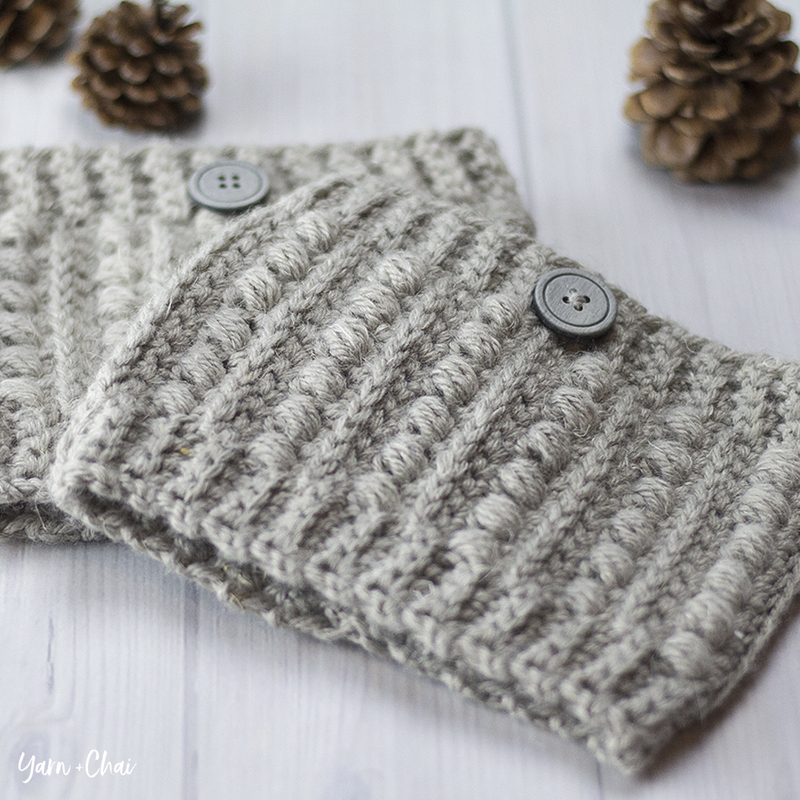 The giveaway is down below the pattern, so don’t miss it!! Video not showing up? Try refreshing the page, and if that doesn't work, click here. For UK terms, click here. (1) You'll need 6 of these squares. (5) A lot of people's squares are looking like pinwheels (curved corners). 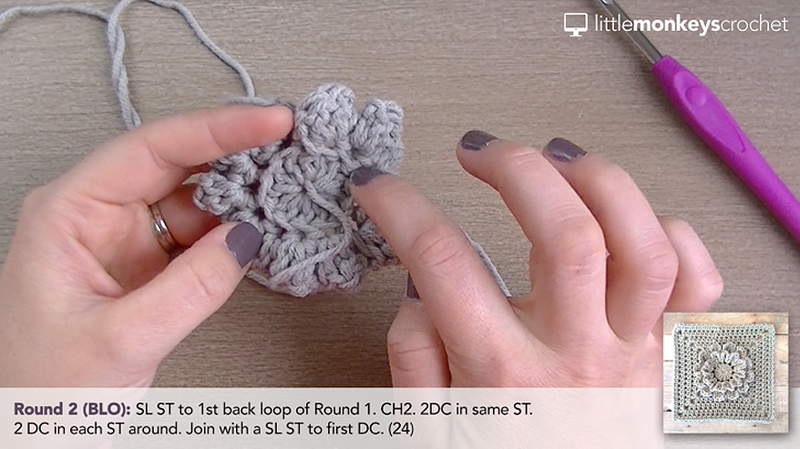 If your square is curving, you probably need to better understand the anatomy of a stitch. 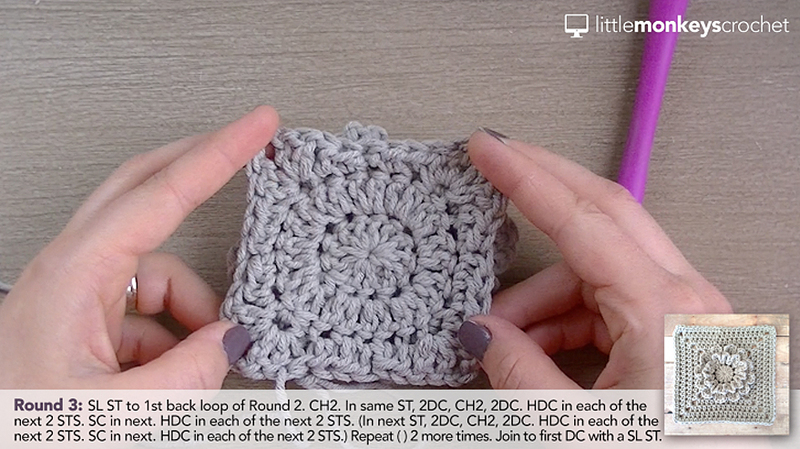 Take a look at this helpful resource from Look At What I Made: Corners and the Elusive Hidden Stitch. and submit it below, then snag your extra entries in the giveaway! Ever take a break from one of your many WIPs, only to return with no memory of what size hook you were using? No more! I'll be giving away a set of 4 Little Monkeys Crochet WIP Hook Markers to THREE randomly-selected winners! So be sure to claim your entries today, and watch for new opportunities to gain entries each week during the CAL. Let the fun begin. Thanks for doing this…this is such a great group! Why, oh why, did I decide TODAY would be a good day to head in to do some summer work for my school district??? I can’t wait to get home and get started on this project!! My two loves….purses and crochet!!! I’m very excited to participate. I’ve been putting off making a summer bag and this one is just perfect! Time to hit the hooks! I have a question: do you block the squares when you finish in order to “open” the petals or they just accommodate in the square once it’s finished? Thanks! Eugenia, mine accommodate but others have said they don’t. It may depend on your tension. Either way, blocking is always a good idea if you’re up for it! I am looking forward to getting started on this when I get back in town. Love it so far! Looking forward to this CAL!! Thank you!! I’m getting 13 hdc in each side on row 4. Thank you for sharing this with us. I want to say that I especially appreciate that you added the breakdown times in your video. Most instructors do not do this…it makes it so helpful when you need to skip to the beginning of a particular round. So looking forward to doing this CAL! I’m just getting back into crocheting – Have NEVER made a purse – so this is a first for me. I love the pattern and the flower was easier than I thought. Thank you so much for doing this. After starting on it with yarn I had (to see if I could do it) I went out and bought all my materials and found Lion Brand Pearl Mist – I think it will make a pretty bag. Thank you, Love the pattern. It’s only the one. It’s not a typo. I love this CAL! I am having so much fun with this project. I love the video, it was so very helpful. Quick question: Is there a hashtag to use on Instagram? I want to post my progress. Thanks so much! Strange! Maybe try again later? I’ve searched and searched for a shoulder bag I would use. This is it!!! Thank you and I will enjoy this CAL. So cute!!! I can’t decide what color to use!!!!!! 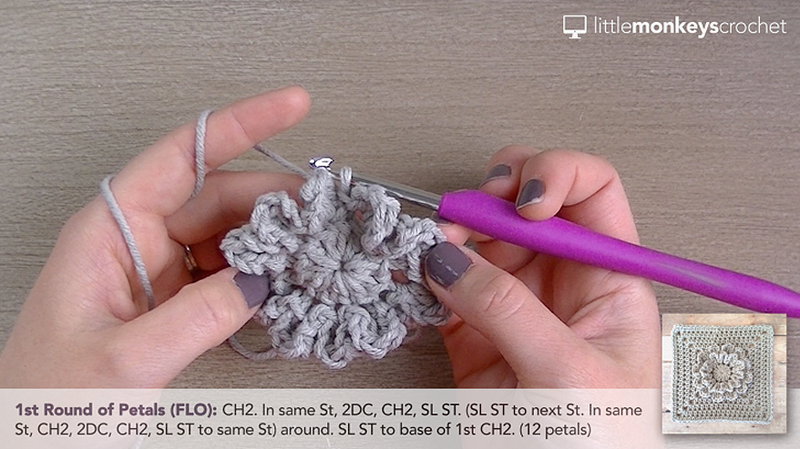 A simply beautiful and easy to make crochet flower. 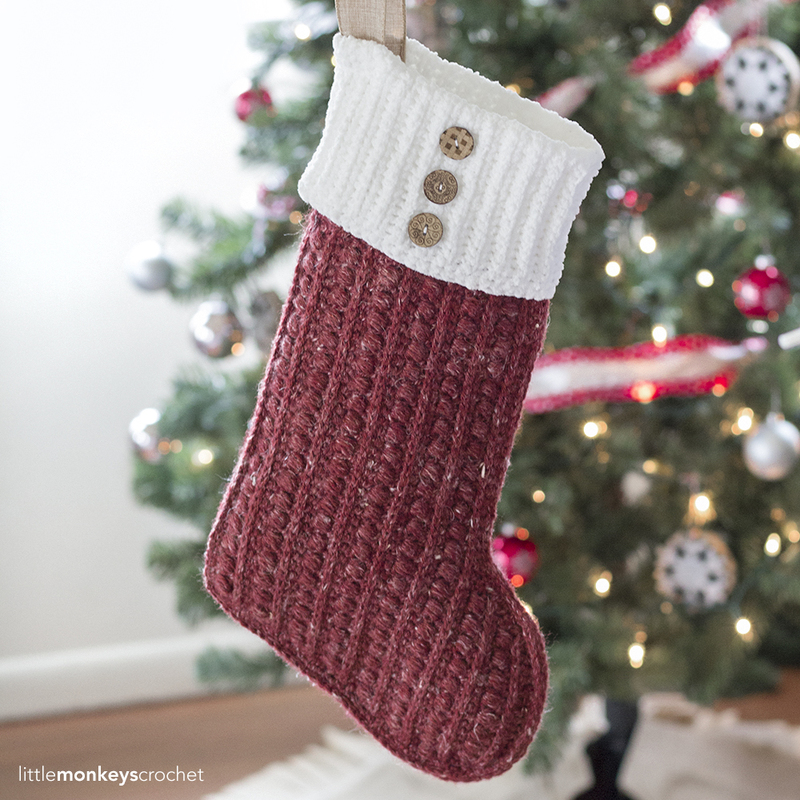 A crocheter’s imagination can take off with many variations in color and embellishments. Girl, you really brain stormed this one! So excited to get started on this course, and its my first! Have to paint my bedroom and husband’s den first…then the fun begins! Thanks so much for having this group, I really appreciate having something fun to do with my break from teaching 1st graders! ThankYou for this cal.I can’t figure out how to enter giveaway. 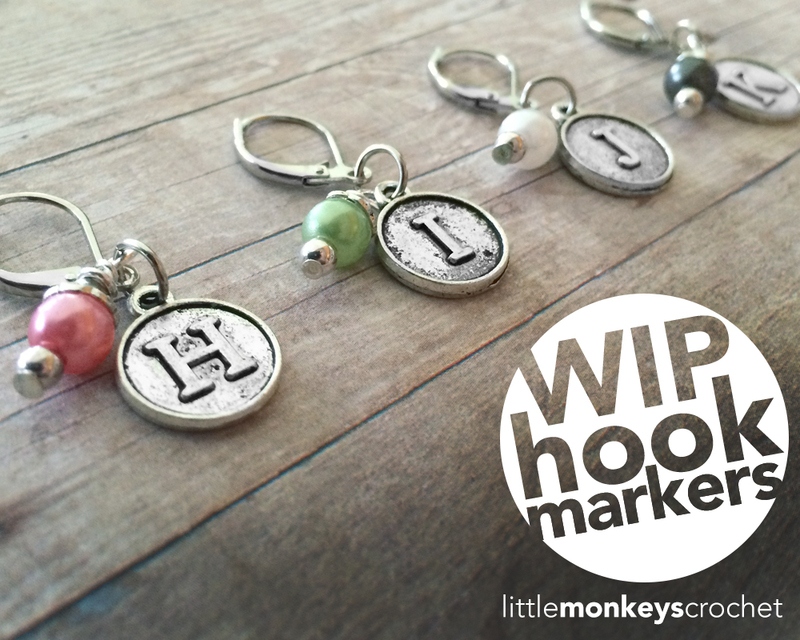 Under the photo of the WIP Hook Markers, you need to log in to the giveaway form with your Facebook or email address, then follow the instructions. I have ordered a set of your amazing hook markers and look forward to receiving them. What a wonderful idea. I tend to have multiple projects on the go at the same time and many of them use the same hook size. Will there be a possibility of ordering a size on its own? 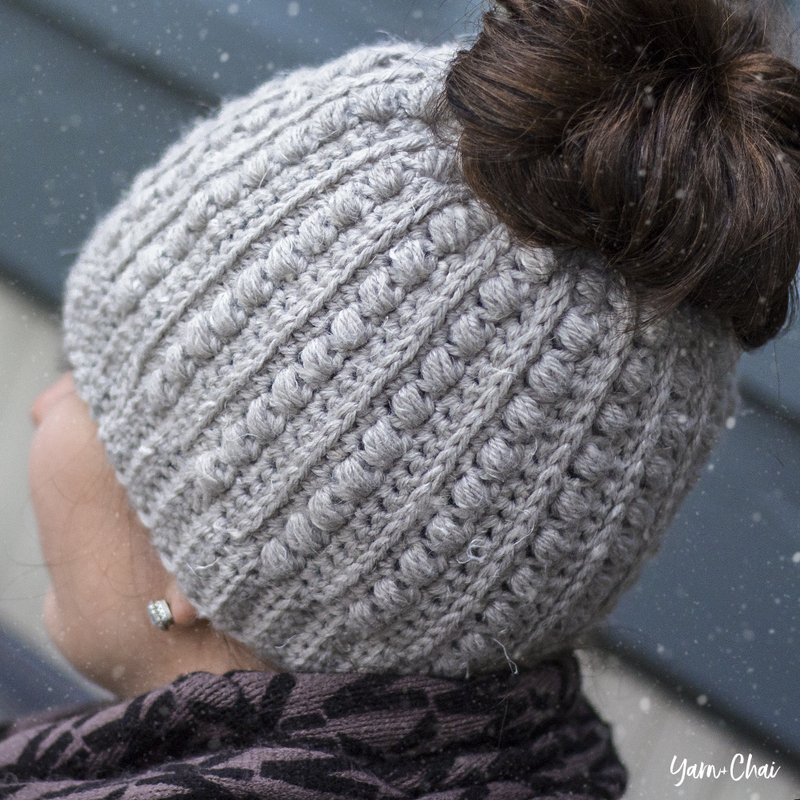 For example, I currently have 4 projects that use a 4mm hook (I’m sorry don’t the US size off the top of my head), so I could really use 5 or 6 of this size. Also do you have any plans to make these available in the metal hook sizes (smaller than 3mm)? What will be the overall measurement of the bag part be….approx? It all depends on your yarn, but mine is 15″ wide and about 13″ tall (Cotton-Ease and a 5.0mm hook). My first CAL and enjoying this project. Not sure I will use the button in pic hoping to fine something to pop. For now these are the buttons I will use. I got the part 1 but now can’t get the part 3. IWhere can I find it? I’m sorry. Part 2 is what I meant. Please help – I’ve finished Part 1, how do I get Part 2 and Part 3? Searched everywhere for the links but unable to find it..
Part 2 will be released Thursday, July 9. I can’t get the link to stop loading in order to add my photo for the giveaway. I’m not sure. I would try exiting, and returning and trying again. I love this cal. Thank you for putting your valuable time and talent for us to use. I dont know how to add a photo of my work so far, or for the giveaway so i guess i will just post on the facebook page my progress. 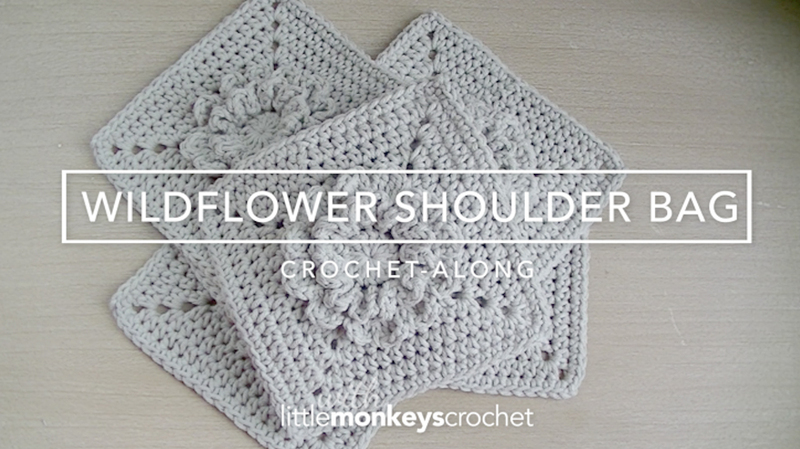 I’m also curious how much difference it would be in yardage (and what I’d need) if I were to do just the flower part of the ‘flower squares’ in a contrasting color? – so just the flowers in, e.g., a muted aqua and the rest of that square in the stone/background color? Looks like the flower petals use a good bit of yarn…. Not sure. Definitely less than a skein. I received notice in my email s on the 1s section but the released on the 2nd section I never received. Now I’m worried about the final sections. HELP! Loving this bag. Will surely end up makin g several for my grand daughters. Here’s my first square! I’m so excited!! I think it’s so pretty! Thank you for this CAL, Rebecca! Hey! i love your Purse and im working on mine now. 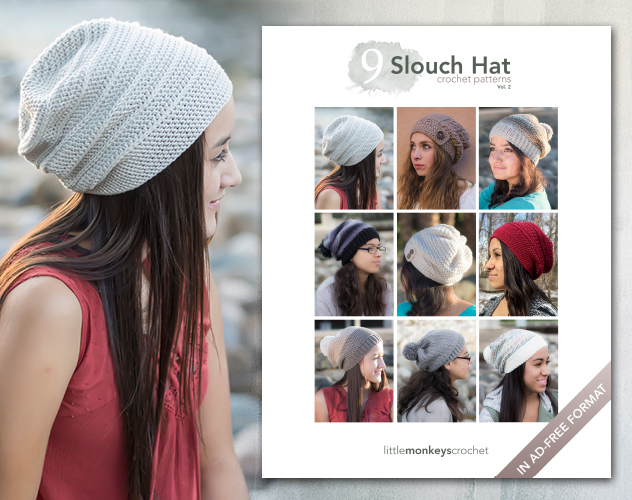 i have one question on the rows that im putting 1 HDc in every stitch and thenon the corners 2HDC cd2 then 1 HDC. i been getting 11 instead of 12 do you know what im doing wrong? I have started the squares using DK 100% cotton yarn. 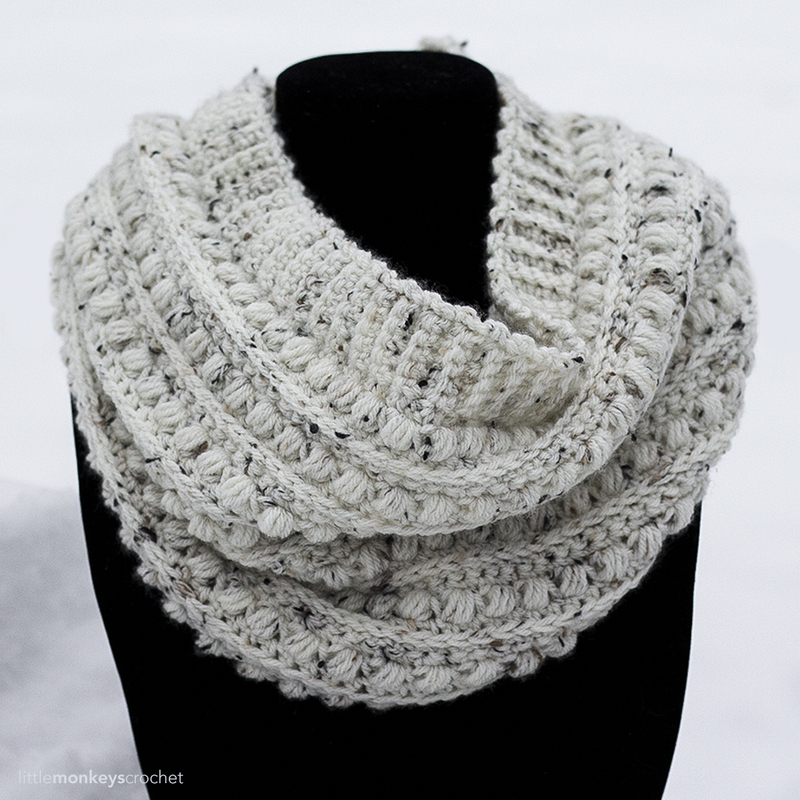 The yarn is very soft and has no stretch at all. I am worried that the bag will end up flimsy and will not retain its shape. What do you think? Should I stop now and go and search for an acrylic blend rather? Just found you on Pinterest. Going to crochet this bag for my mother for Christmas. Thanks so very much. This pattern is not complete, why? 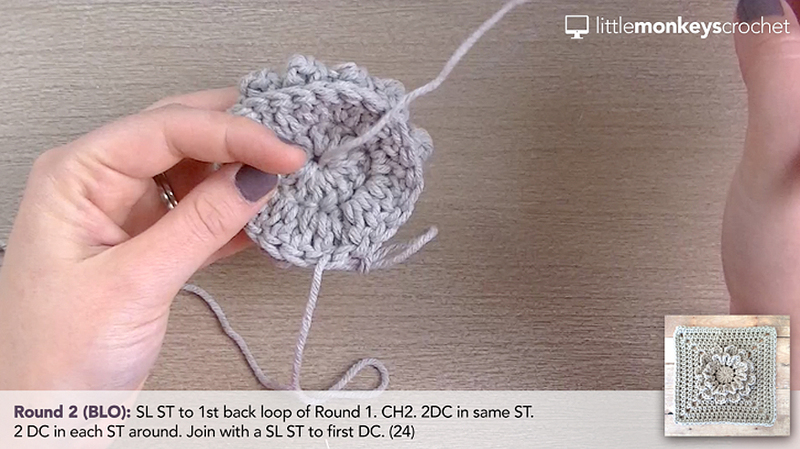 Do I have to watch the tutorial?..I am a seasoned crocheter and would like the whole pattern if that is possible! I already have the flower motifs, I just need the rest of the pattern.